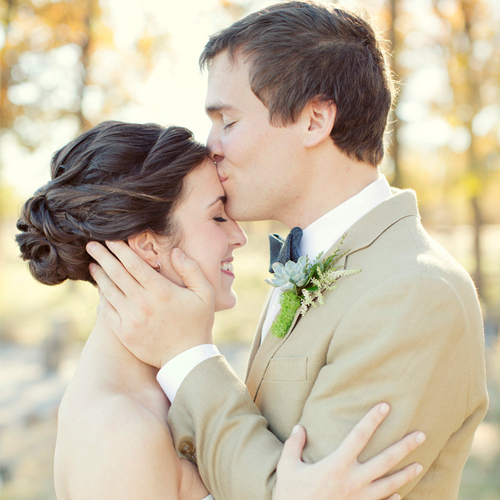 The cheek kiss is a kiss that is all about conveying that you like someone. This kiss is about friendship and affection. The person planting the kiss may have romantic feelings for the receiver, but this moment isn't about that romance. This is about a true fondness, conveying the message that "I like you." Gently raise her hand to your lips and lightly brush them across the back of her hand. Historically, this kiss was performed with a slight bow of deference to a lady. This kiss is performed when two people focus on kissing with one part of their mouth only, using just one lip. This kiss is not as aggressive as Frenching but is more romantic than other two-lipped short kisses. It is focused romantic attention from one partner to another, usually occurring between two people who are deeply in love.